Healthcare is innovating more now than ever before. But these innovations are not always as great as they should be. 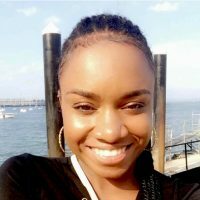 New York based Taylor Maynard shares her views and proposes a solution. As recent as 2009, only 16% of U.S hospitals utilised Electronic Health Records (EHR), a staple in the hospital industry today (2). Technological advancements in genetic testing techniques, are responsible for the price of genetic testing dropping from $100 million per genome in 2001, to approximately $1000 per genome in 2015(7). These tremendous cuts in cost have made the field of precision medicine increasingly more feasible, which in turn has improved the treatment and prevention of many chronic diseases. Although the rise in technological advances has provided the ability to solve existing healthcare problems, it has also brought with it a set of new challenges that require new approaches. Approaching healthcare innovation from a human-centred angle, could aid in solving these new problems, which could then bring large improvements on a systematic and patient outcome level. It is based on a deep understanding of human behavior (1). In order to gain this deep understanding, one must analyse the end-user’s motivations, needs, frustrations, and other components of their experience, in order to flesh out issues and develop effective solutions. In other words, a human-centred design approach will begin with the end-user’s experience and end with a potential solution, such as the implementation of a new process or technology. Further, positive end-user experiences can be used as a measure to demonstrate the efficacy of a process or technology. Historically, healthcare has been centred around fixing acute medical problems and finding cures (3). As life expectancies increase and long term management of chronic disease becomes increasingly feasible, patient needs within the healthcare system continue to change. A system built around short term in-patient stays and quick fixes cannot accommodate the situation of many Americans who have chronic or long term diseases such as cancer, which may require extended in-patient stays and frequent visits to medical offices. For such patients, consistent satisfactory or dissatisfactory experiences in their respective healthcare environments could have an especially large influence on their health outcomes. Two studies of patients hospitalised for heart attacks, illustrate that patients who had more positive reports on their care experiences, had better health outcomes a year after being discharged when compared with patients who had reported less positive health care experiences (4,5). As a Clinical Research Coordinator, I have witnessed firsthand patients forgo potentially life sustaining cancer therapies due to dissatisfactory experiences with care, such as wait times of two hours or more, communication issues with clinical staff and scheduling problems. Over the years, there has been increased implementation of new digital health tools and services intended to aid providers in delivering healthcare services to their patients. However, despite an increasing rate of IT spending, use assistive tools, and expanding workforce, productivity in the healthcare industry has shown a decline (3). Such results imply that simply adding more technology is not the solution to all problems. Within my two years as a research coordinator, there have been many new improvements and additions to electronic health tools. Many times, however, it seems as though the solutions and tools that are created fail to effectively address the problems we (end-users) have. Instead, they create new problems, leaving end-users frustrated and resistive to change. One example of this is a clinical research tool that was specifically created to standardise the process of documenting RECIST (response criteria in cancer patients) results. Though this tool made sense from a technological and documentation standpoint, (i.e one click sign off, and having all records in one place) the radiologists responsible for completing these reads, found the tool to be non-conducive to their already hectic workflow. As a result, radiologists by-passed this new tool all together, rendering the time, money and effort spent on creating it, a waste. Using human-centred design, we can create user-friendly tools that providers are more-likely to use which consequently would lessen the likelihood of wasted hospital funds. Within the healthcare industry, technologies and processes have been implemented and users are simply expected to accommodate. This is evidenced by the counter intuitive technologies and processes patients, clinicians, and medical staff have to use everyday. Technology should accommodate users, not the other way around. The adoption of a more human-centred approach to innovation, will undoubtedly better the entire healthcare experience as a whole and foster a more cohesive and comprehensive health care systems than ever before in history. Taylor Maynard is a CUXA Community Manager for New York City. She is also a Clinical Research Coordinator at Memorial Sloan Kettering Cancer Centre and healthcare UX enthusiast. Fremont AM, Clearly PD, Hargraves JL, et al. Patient-centered processes of care and long-term outcomes of acute myocardial infarction. J Gen Intern Med 2001;14:800-8. Meterko M, Wright S, Lin H, et al. Mortality among patients with acute myocardial infarction: The influences of patient-centered care and evidence-based medicine. Health Serv Res 2010 Oct;45(5):1188-204.